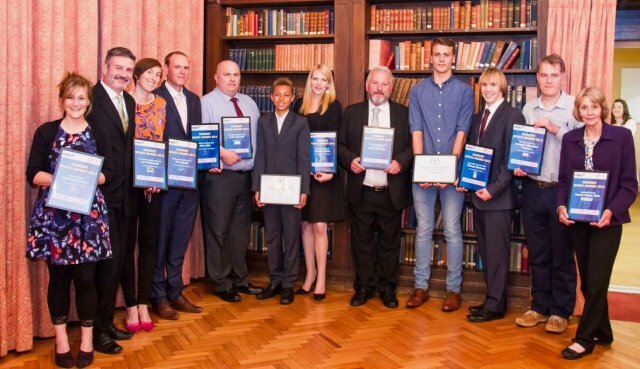 This year's Somerset Sports Awards gave recognition to the achievements and successes of outstanding athletes, inspirational volunteers, great coaches and quality clubs and organisations from across Somerset. The awards evening was held on Friday 5th June at Taunton School and was hosted by Colin Johnson, Amy Wiltshire and Sarah Coombs of SASP; with support from the sponsors below. A massive Congratulations to all nominees, you are all winners! Thank you to everyone who attended the awards evening and made it such an enjoyable event. It was an absolute pleasure to meet you all. Keep doing what you're doing!! Many Thanks to our Sponsors; TS5C, The Rotary Club, Create Development, Oaks Consultancy, Mr.Miles Tea, Richard Huish College, Bridgewater College Academy, Albert Goodman and Apsleys. Photographs were taken throughout the evening by Christina Dithmar www.christina-dithmar-photography.co.uk Photos are now available to view or purchase from Christina's Page.